1007 Champions Cir Simpsonville, Ky 40067 is an all brick five bedroom four and a half bathroom home in the prestigious Cardinal Club Estates. There is an abundance of amenities isn this stunning home. For example, the ceilings are twelve feet tall. Extensive trim and moldings run throught the haous. The doorways are ten feet tall. The home is very open and bright. Most of this is due to the enourmous amount of windows in the home. It's helps that the hardwood floors shine thoughout the home. The colors of the walls are neutral. 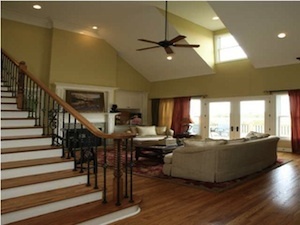 The two story foyer leads into a beautiful Greatroom. 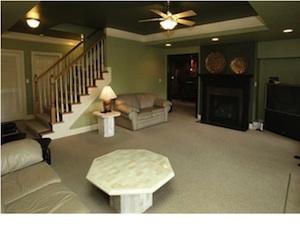 The great room has a 2 sided fireplace with a georgeous granite surround and Mantle. Stainless Steel appliances adorn the gourmet kitchen. The Kitchen has a five burner gas cooktop with double ovens. The Kitchen also features granite countertops, custom cabinets, a large pantry a breakfast area and a hearthroom. The Hearthroom lies on the other side of the two sided fireplace. It's incredibly relaxing. What a perfect place for the family to gather while the chef prepairs the meal. The Kitchen also leads out to a private covered porch. The formal diningroom has beautiful trimwork. 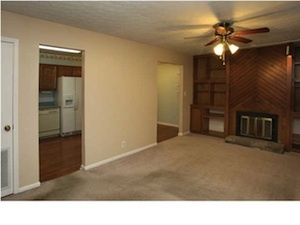 It also has a trayceiling and beautiful hardwood floors. The first floor master bedroom suite has a walkin closet, an oversized deep whirlpool tub, dual vanities, a tiled shower with acess to the back deck The deck in the back of the house has an incredible view of the thirteenth fairway. The glory of the view is it's far away enough to have the perfect view of the course and also far away so as not to constantly have golf balls in the yard. The Cardinal Club golf course Lake is also visable from the back of the home. The second floor has three large bedrooms. Two of the rooms are joined by a Jack and Jill bathroom. The third bedroom has it's own private bathroom. Every one of the bedrooms have ample closet space. The owners finished the walkout basement. The basement has a family room and an office. The office could be used as a game room. There is an additional bedroom and a full bathroom in the basement. The basement also has a Theatre room, an excersize room, another room for storage and a full kitchen. 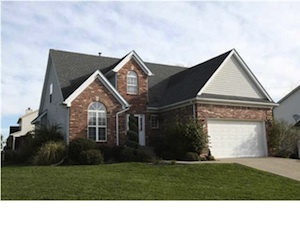 1007 Champions Cir Simpsonville, Ky 40067 is beautifully landscaped. It has an irrigation system. There is a large deck that runs the entire length in the back of the house. The current owners love the fantastic sunsets. This home offers a fantastic country setting yet it's location makes it close to every convenience. 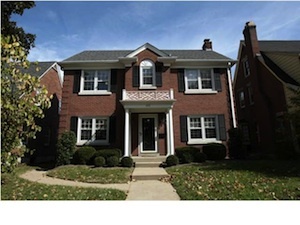 This home is only 30 minutes from downtown Louisville and 10 minutes from the Gene Snyder Freeway. It's also ten minutes from Middletown and very close to the Simpsonville exit on I-64. It's also in the new Martha Layne Collins High School District. For more information about Louisville Real Estate, or additional Homes for Sale in Simpsonville visit, 1007 Champions Cir Simpsonville, Ky 40067. This incredible home is located at 403 Godfrey Ave Louisville, Ky 40206 in a wonderful neighborhood in Louisville Kentucky. Directly off of the main drag Lexington Street, this beautiful home has a spectacular view of the Baptist Theological Seminary. The view is stunning and the best part about it is, it's maintenance free. The home itself is all brick. It has a huge living-room with a cozy fireplace. 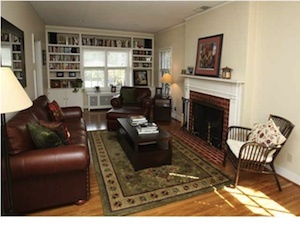 The living room also has built in bookcases, plank hardwood floors, crown molding and a lovely mantle. The formal dining room is is big enough for for a huge table that is perfect for entertaining. The dining room is also connected to a great big Kitchen with updated stainless steel appliances. The Kitchen has lots of cabinetry with a tiled back splash. Hardwood floors cover most of the first floor of the home. On the first floor there is also a half bathroom. The Master bedroom has an entire suite and it's own private bath on the second floor. The Master bedroom also has a walk in closet. Walk in closets are normally unusual for this neighborhood. There are two more bedrooms and an additional full bathroom also on the second floor. There is a basement in this charming home. It's partially finished. So, there is an unfinished portion as well as a finished side. The finished side has an incredible family room and a gorgeous full bathroom. The outside of the home boasts quality professional landscaping both in the front and the back yards with a newly laid Paver Stone Patio. The space is perfect for entertaining. The yard is fenced. There is also a new screened in porch. A new concrete driveway leads into a two car garage. New updates also include a recent installation of a new air conditioning unit back in 2010. 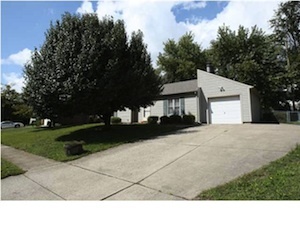 This home sitting on 7119 Apple Orchard Ln Crestwood Ky 40014 is an incredibly well maintained home. This home is on more than one third of an acre of land. 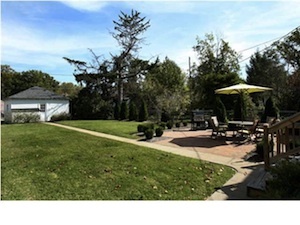 Sitting on a corner lot, the beautiful landscaping and manicured lawn is readily apparent. The owners obviously care for their home. The back yard of the home is fully fenced. 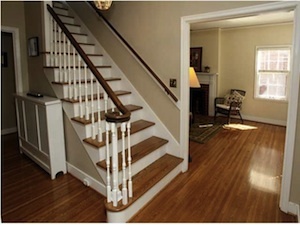 Inside the home, hardwood floors are in the two story foyer and the half bathroom. The great room feels huge with it's vaulted ceiling. It also has a fresh and natural decor. The eat in Kitchen opens right into the Great Room. The Great Room has a fire place and opens right on out to the deck in the back. 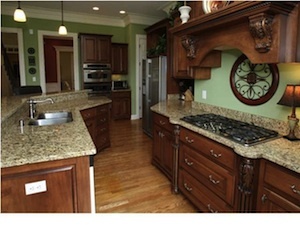 The Kitchen has an enormous amount of cabinets and counter top space. This home lends itself to entertaining with all the kitchen amenities and open space. The first floor Master and the laundry room is just off the Great room. The Master bedroom is huge. There is enough room to fit an entire king sized suite in there. Two bedrooms are upstairs. One of the rooms is complete with a separate additional bonus room. The bonus room could be uses as a study room or and hanging up room. In the basement is a suite complete with a full bath. The basement has been professionally finished. This is a an amazing home on a great lot. 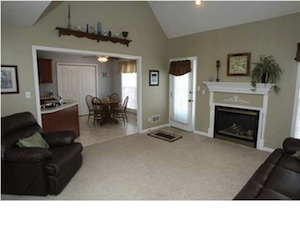 For more information about 7119 Apple Orchard Ln Crestwood Ky 40014 or additional homes in Poplar Hill call us today. 4 Hebron Rd Shelbyville, Ky 40056 is land in Shelbyville Kentucky. 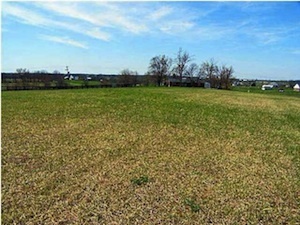 To find this land simply drive down Shelbyville road from Louisville Kentucky. Upon 1848 in Todds Point follow to the right onto Hebron Lane. 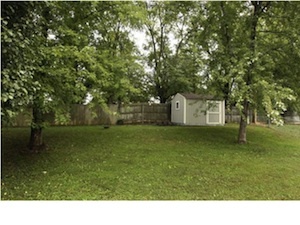 This land is composed of over five acres on a fall away lot. For more information about 4 Hebron Rd Shelbyville, Ky. 40056 or additional homes in Shelbyville Kentucky, call us today. This terrific home sits on a quiet Cul-De-Sac in the Fincastle Subdivision in Louisville Kentucky. 11317 Prince George Ct. Louisville, Ky 40241 has a terrific living room that displays a fireplace with built in book cases on either side of the fireplace. There is a large kitchen with lots and lots of cabinet space. There is also plenty of counterspace in the kitchen as well. Inside of the Kitchen is a sliding glass door that opens up onto the ten foot by twenty four foot deck. 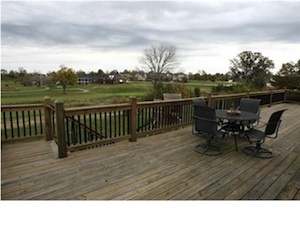 Standing on the deck, one can overlook the expansive yard that adorns the back of the house. There is a nice shed in the backyard that is brand new. 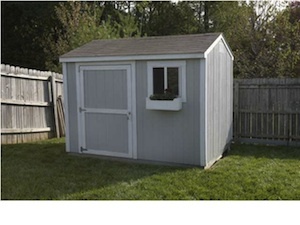 the shed offers lot's of additional storage. There is another door in the kitchen that opens up into the garage. So, it's easy to pull into the garage and come straight into the Kitchen with groceries. There are three bedrooms in this house. Also, there is a laundry room. The outside of the home is maintenance free. There is a double wide driveway that leads to the garage. The yard is fully fenced. Shopping is close. The Summit shopping center is just miniutes away. The Tom Sawyer State Park is extremely close too. For more information about 11317 Prince George Ct. Louisville, Ky 40241 or additional Homes in Fincastle, call us today.